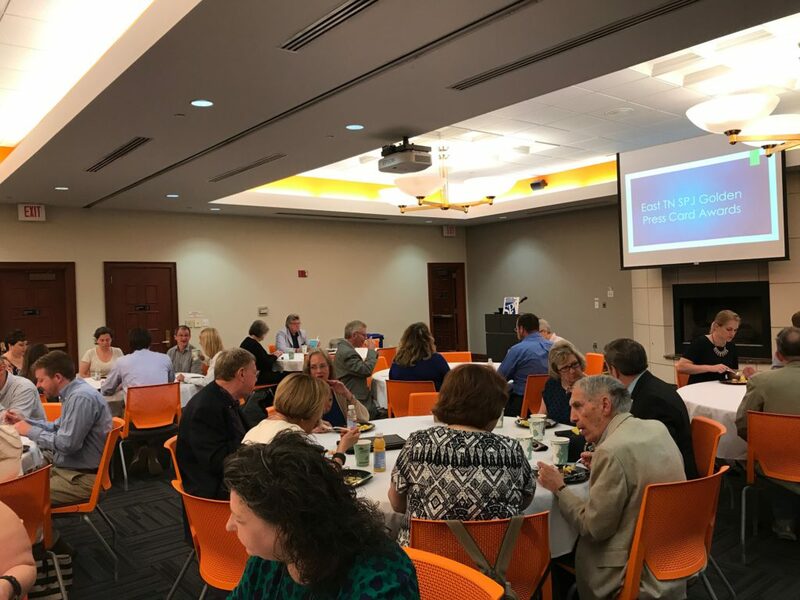 There is one day of the year when local journalists can momentarily shed their fear of pink slips and feel at ease with their place in the world: the Golden Press Card Awards luncheon, presented by the East Tennessee Society of Professional Journalists. 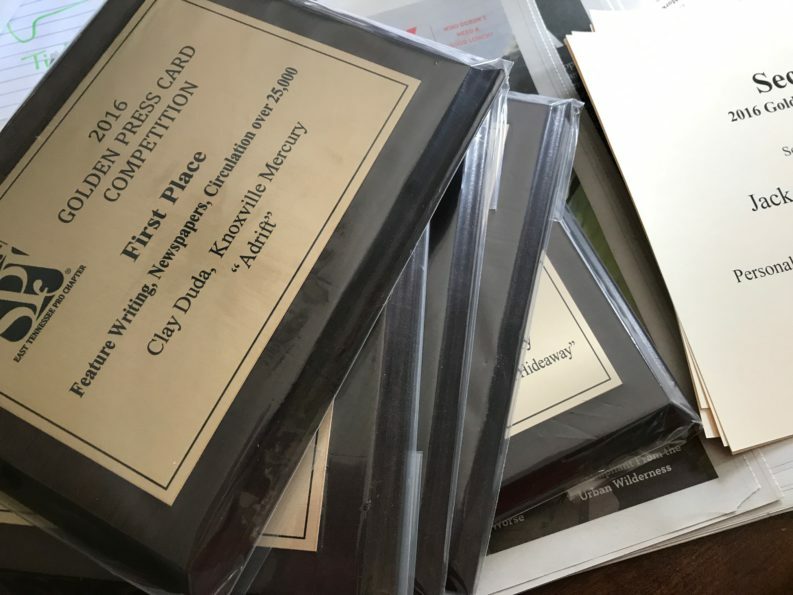 Every spring, reporters in print, TV, radio, and online submit their best work from the previous year to be judged by an out-of-state SPJ chapter (this year, it was Florida). Then they gather at the UT Visitor’s Center on a Sunday afternoon to nosh, chit-chat, and bask in a sense of camaraderie among their competitors—before nervously waiting to find out what places they came in for each category. But even those who don’t come in first will agree that they have won the most fleeting sensation a journalist can experience these days: appreciation. Read about all the GPC winners here.